Tranquility at its best... 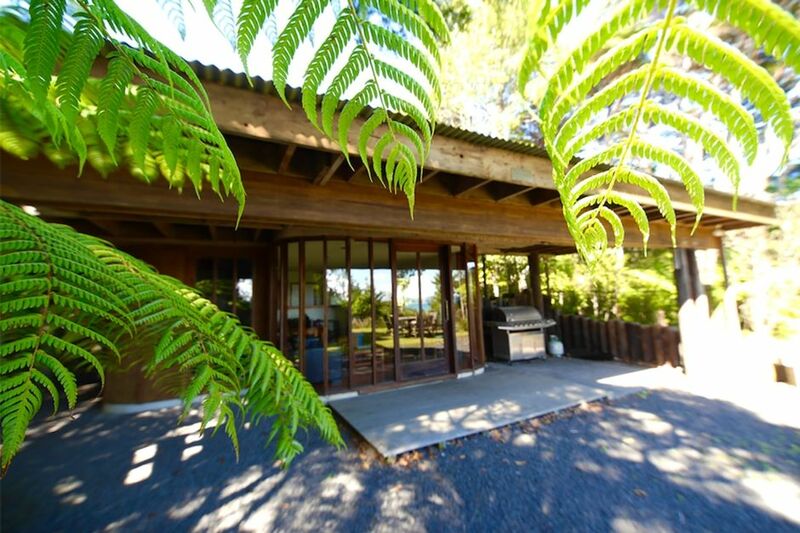 This one bedroom retreat is nestled amongst New Zealand natives, situated directly above one of NZ's best surf beaches - Manu Bay and in the foothills of Karioi Mountain. If you are seeking a get-a-way with utmost privacy, views to die for - then this is for you! Perfect for a couple wanting to get away from the hussle and bussle of everyday working life or whether you are keen to chase the surf, we have it all; Manu Bay, Whale Bay and Indicators! Outdoors is perfect for relaxing; whether a barbecue or purely lazing around listening to the amazing bird life - so quiet! Under no circumstances are outdoor fires permitted. Tents or additional overnight guests only with prior permission. Pets are welcome with prior approval and under the following conditions . Pets must be kept outside. In order to protect the native wildlife , pets must be kept under control at all times. You are responsible for removing all pet waste. We loved this little batch for a few days holidays! Very close to Manu Beach, nice view from the garden. BBQ and outdoor table. Up a long drive way far from the main road, safe & Enough place for our 2 dogs to run around without disturbing any neighbours or wild life. The little house has all it needs in term of facilities, lots of heaters and extra blanket for the cold nights. Just note there are no WIFI. Also the bed, bedding and linen provided was very average especially considering the $15 charge per person for linen..... something that can be easily improved! Lovely, quiet place to stay and a great location if you surf. Quick drive into town if you need but the beauty of this place is how relaxing it is being out near Manu Bay. Awesome being able to bring the dog too. Great for couples seeking a retreat. Very secluded, surrounded by bush (which unfortunately obscures the wonderful view a bit). Clean, tidy and well equipped. The bed was a little uncomfortable and the water pressure was "just" enough. But, we got what we were looking for - a quiet retreat from work and kids. We will definitely be back.